Meet Maria Licoudis; RN and Care Manager at Home Care Assistance. Her story is all too familiar; too much to get done and not enough hours in a day. Maria leads a very busy life. She is mom to her two girls Chloe and Connie, who are 24 and 21 years old respectively. She helps and supports her girls as they head in to very exciting times in their lives with school and careers. A typical day for Maria is not unlike many of ours. She is up early after a short night’s sleep. Part of those hours spent sleeping and others planning the days and weeks ahead. After getting ready for the day, she touches base with her girls and goes over her schedule for the day. She heads into work to meet and consult with clients and caregivers, all while dealing with Montreal’s traffic and construction woes. Between meetings on the road, she pops back into the office to handle any emergencies and takes a minute to check her messages. Chloe has a job interview and wants to tell me about it. My car is due for maintenance. Mom isn’t feeling well and needs me. The first two are easy to deal with, but the last message conjures up many emotions and she returns the call right away. Maria’s mother, who is an 84 year old, Greek widow, is feeling weak. She hasn’t had breakfast or lunch. When are you coming by, “Maria mou”? The need in her Mom’s voice pulls at Maria’s heart. She is probably ok. Maybe she is feeling lonely. What if she really isn’t well? I need to visit more. I really should do more for her. She promises to visit Mom after work and meanwhile asks one of her daughters to check in on her. Maria’s instincts were spot on. Mom is ok, but feeling lonely. She hasn’t been eating well and she has run out of milk. I need to get milk tomorrow, or ask one of the girls to stop by with some. She also needs to see the dentist later this week. Remember to call the dentist tomorrow to make an appointment and coordinate with work to take the time off. After taking some time to evaluate Mom (benefits of having a daughter who is an RN), chatting and helping Mom with dinner and dishes, Maria gives her a clean bill of health. With a hug and a promise that either she or the girls will check in on her tomorrow, Maria heads home. It’s a long day, but a typical one. There comes a time in our life, when we are not only mother’s to our children but also to our parents. The roles reverse and they become dependant on us for everything from doctor’s appointments to housekeeping and meal preparation. And that’s why Maria is so passionate about the work that she does. She helps people, every day, who face the same time and family constraints that she does. Maria is lucky, as she is still able to handle her mother’s care, with the help of her daughters, but she knows that the time will come when she will need additional help. Home Care is an option that is designed to relieve the pressure and guilt that children feel when they become caregivers for their parents. It offers families the opportunity to make sure that their loved ones are safe, cared for and not lonely. It allows children to go to work and take care of their families all while knowing that Mom or Dad are ok. Home Care doesn’t replace the family’s presence, but rather makes the time they spend with their parents more enjoyable. Rather than doing tasks like housekeeping and personal hygiene care when visiting Mom or Dad, that time can be spent actually enjoying each others company. 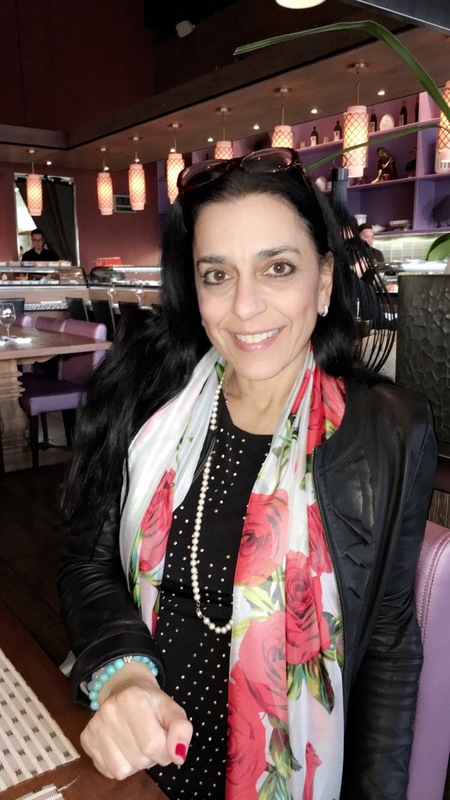 Maria Licoudis has degrees in nursing, emergency, and critical care and has 31 years of extensive nursing and management expertise. She specializes is palliative and long-term care in hospital and home settings.